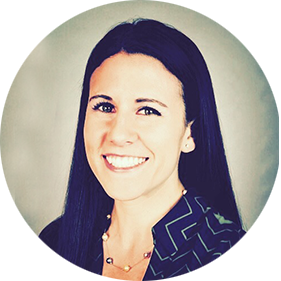 Samantha Novick is an ASHA certified Speech-Language Pathologist, and the owner of Bridge Therapy, LLC. She works in affiliation with Boca Integrative Health, a comprehensive medical practice in Boca Raton, Florida. Samantha is proud to be the Vice President of Operations for The Friendship Initiative, a local nonprofit organization that fosters friendships between individuals of all abilities, while offering extracurricular programs in the community. She is also the Director of “Reading With Friends,” a program that The Friendship Initiative offers to create a fun, inclusive environment based on literacy. Samantha has experience treating children and adults with a variety of communication needs, including those with aphasia, articulation, and phonological disorders; apraxia of speech, autism spectrum disorder, Down Syndrome, receptive and expressive language delay, reading deficits, pragmatic concerns, fluency disorders, and those who use augmentative and alternative communication (AAC). Samantha strongly believes in treating the family as a whole and is a fervent advocate of a team approach to therapy. She graduated with high honors from the University of Florida with a degree in Communication Sciences and Disorders, earning her master’s degree in Speech-Language Pathology from Nova Southeastern University, where she also received high honors, along with the NSSLHA Leadership award, and the Research award. 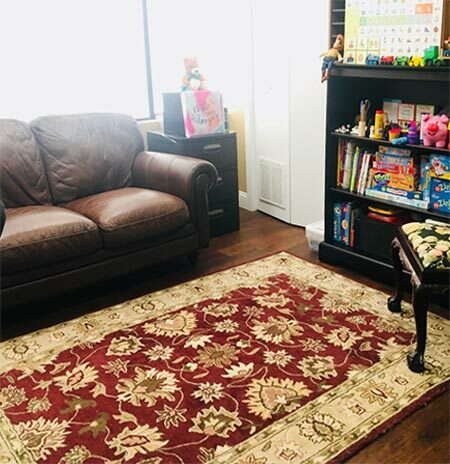 Samantha has worked in a private clinic setting in a behavioral therapy practice as a Teaching Assistant and Social Skills Instructor at Baudhuin preschool for children with autism. She has completed PROMPT and LAMP trainings, is a certified yoga instructor for children with special needs, is listed as a CASANA professional for individuals with childhood Apraxia of Speech and is experienced in communicating via American Sign Language (ASL). Samantha is passionate about her career and giving back to her community. She strongly believes in the power of communication and strives to break down barriers in our increasingly diverse world. The ability to express one’s self is paramount. Speech-Language Pathology helps people achieve a greater capacity to use and understand language, to communicate with others, and to thoroughly express themselves. Every person is unique. That’s why Bridge Therapy provides a tailored, warm, and evidenced-based approach to therapy with an emphasis on bringing families closer through better communication skills.